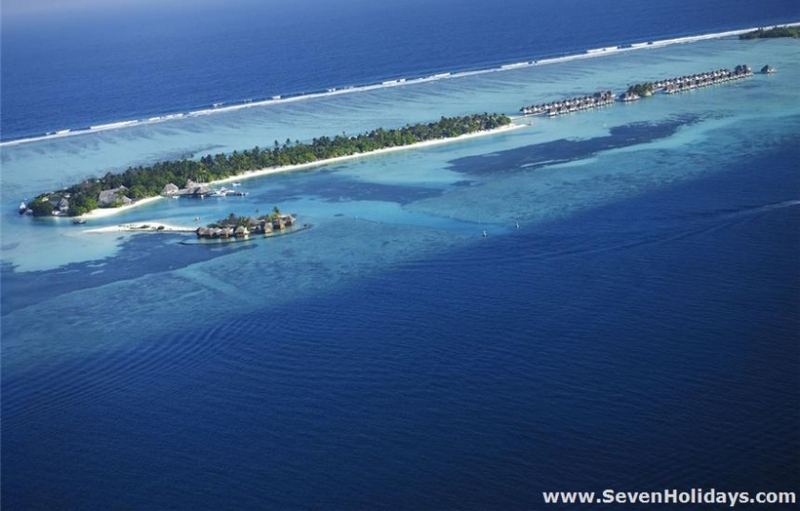 This is a tranquil, pretty resort just 25 minutes by boat from the international airport. And it’s a Four Seasons property through and through in terms of its immaculate service and commitment to doing things the right way. 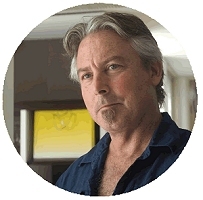 Underneath the expertise in fine living is a green conscience and a responsibility to community. The resort itself even has a kind of community feel as there are small families , large families, young couples and older couples coming and going around what appears to be a very, very neat village. 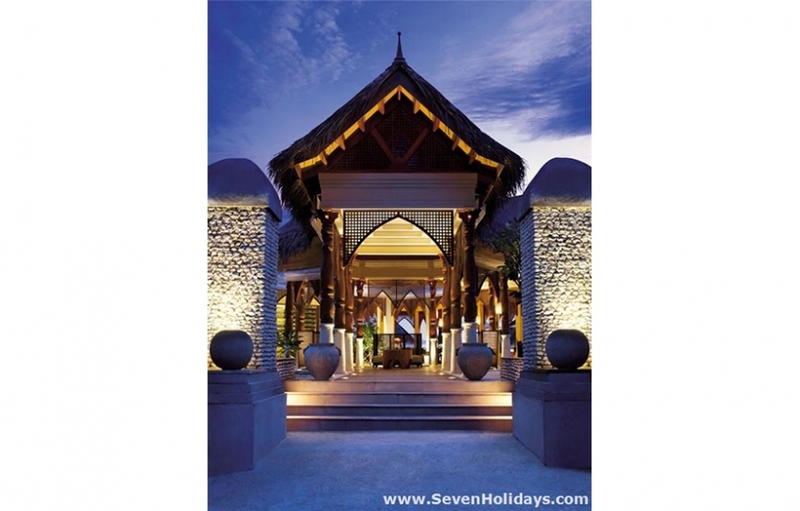 The white sand and white coral walls is the traditional Maldives island look, here lit up by rows of indigenous trees, shrubs and flowers, like frangipani, bougainvillea and hibiscus. Here and there is a rope seat or a hammock hanging from a branch. 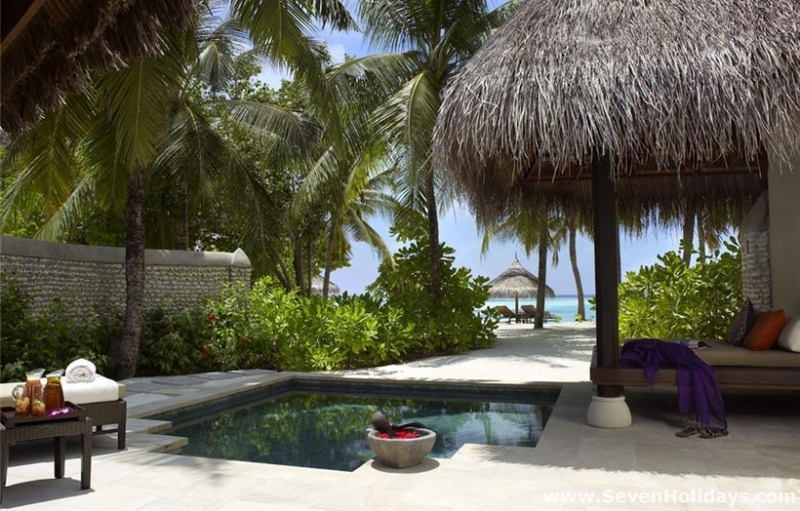 A few rooms are set close and open to the beach whereas most have rich vegetation and a wall providing complete privacy for their large decks and pools. 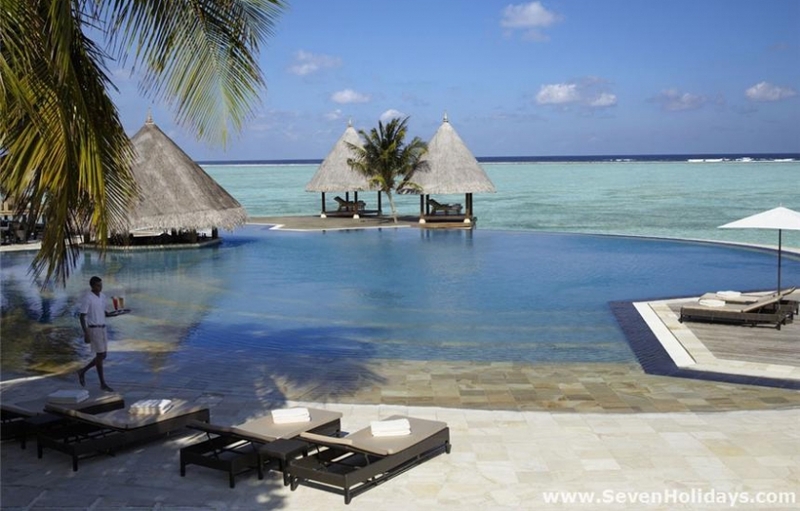 On land there are 25 Beach Pavilions with Pool, 32 Beach Bungalows with Pool and 1 2-bedroom Royal Beach Villa. All the rooms were expanded and redesigned internally during almost 2 years of closure after the tsunami of December 2004. They are quite beautiful rooms now. The over-water rooms share the same modern tropical furniture and colour scheme of oatmeal, white, off-white and browns of polished wood but look out through walls of glass to sparklinglagoon vistas. The rooms on one side of the jetty face inside the atoll to sunrise but with some occasional boat traffic in the distance, while rooms on the other side face out beyond the lagoon to the deep sea and sunset. 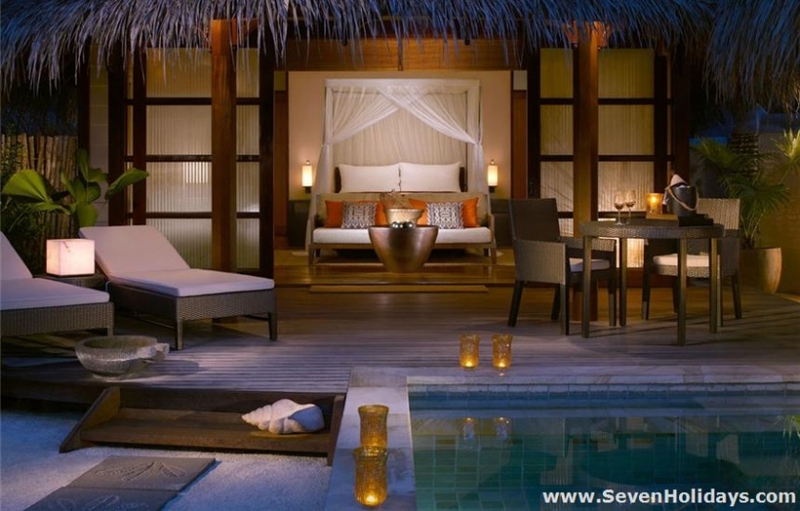 There are 32 Waterbungalows, 4 1-bedroom Navaranna Waterbungalows and 2 2-bedroom Navaranna Waterbungalows. 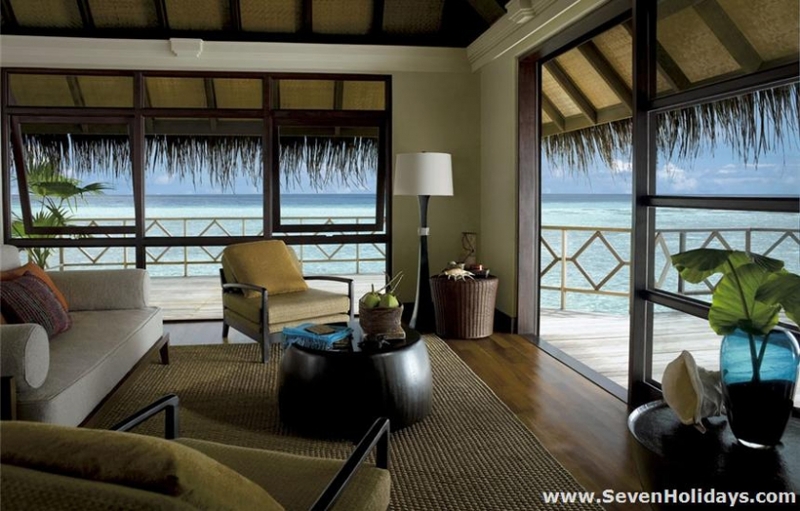 The decks of the waterbungalows are perfectly private and each have steps down to the lagoon. The lagoon is shallow at low tide and at the turn of the tide the current can be strong enough for swimming not to be recommended. Snorkeling used to be a disappointment here but the remarkable Maldivian innovation of coral frames has delivered intriguing snorkeling right in the lagoon itself, just off from the swimming pool and beach. Guests can clearly see different corals at different stages of growth and even sponsor their own frame and have their name attached and pictures of its development emailed. Further enriching guests’ experience are guided snorkel excursions and presentations on such topics as coral reef creation and reef fish histories. Good, fun things to do are a real strength of Four Seasons, especially for children and the whole family . It’s a great place to try something new together. The welcoming watersports centre has extensive options from kayaking to banana boating and is also one of the few resorts that can offer surfing. They do this for all ages and abilities. For adult time alone, the Kid’s Club puts on a full program for 4 to 10 year olds, while teenagers have their own hang out. 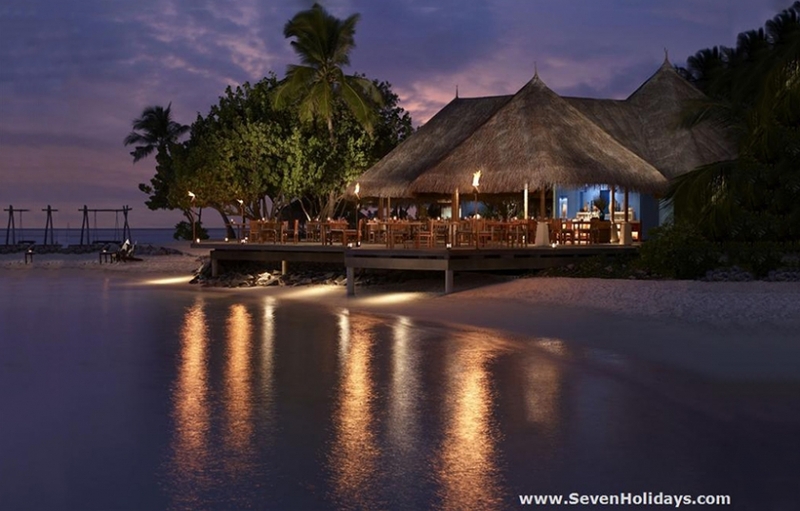 Most of the dining is in different locations near to the big, shapely swimming pool, Maldives’ firstinfinity pool. Café Huraa is the place for breakfast and evening buffets. The cuisine here is angled towards the Asian palate with occasional theme nights, such as French. Lunch is often taken simply around the pool. Dinner can be had at the Kandu Grill, serving fresh catch of the day and choice meats or at the Baraabaru Restaurant, serving fine Indian cuisine in a dramatic setting inside or out over the water. 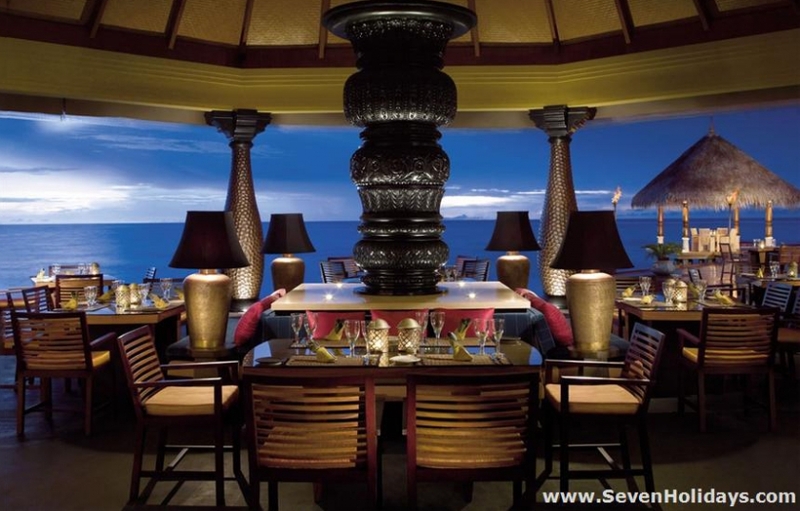 The final destination restaurant is the Reef Club, which is away from the main area, alone at the southern end near the waterbungalows. 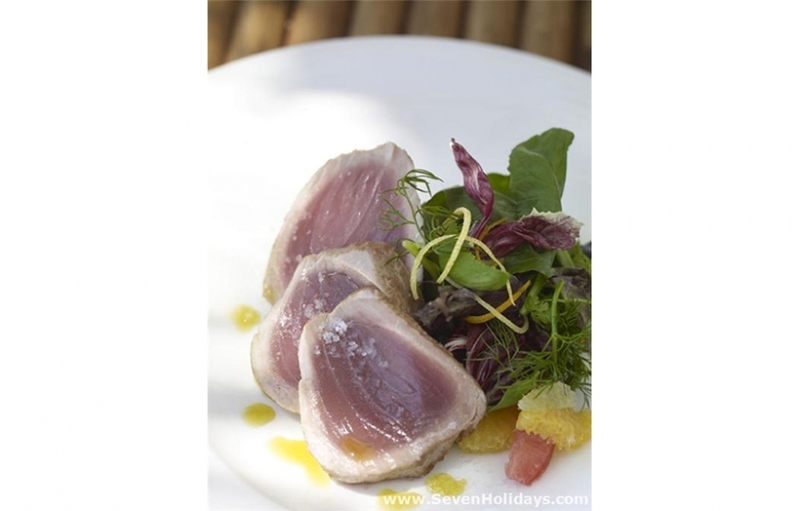 The decor is convincingly seaside Mediterranean and the cuisine is authentic fine Italian. This restaurant is also open at lunchtime for simple, delightful lunches such as octopus salad, pasta alla vongole and a glass of Pinot Grigio. The spa experience starts with a very short trip on a miniature dhoni that metaphorically takes you away from civilisation to another place where you experience something ‘other’. 1 product line, indeed, is made at full moon from pure organic substances to powerfully affect the chakras etc, etc. 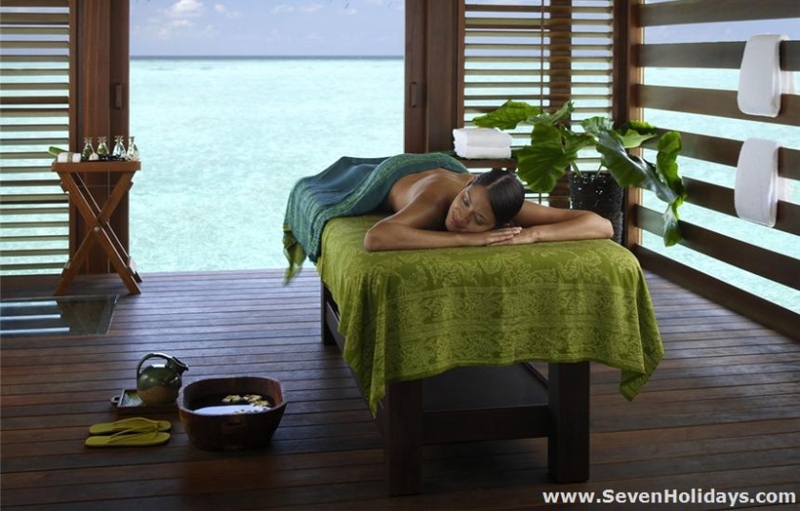 You can surrender yourself to this or enjoy a fabulous massage for its own pleasures.